Campaign mode has been released! Our largest update since the release of Pocket Squadron is finally out. Tons of new content, bug fixes, and optimizations. Including two new fighters and a new bomber along with the ability to control tanks. It has been a long wait but we have been working hard to get this out. We hope you enjoy playing as much as we did making it! So it seems like Cargo Copter has been trashed, again. I love the concept but the prototypes we build just don't seem fun. We also tried making it into a game where you fight fires, but that wasn't very fun either. So Cargo Copter is shelved for a while, possibly forever, while we work on other things. You can at least have this WIP screenshot to remember it by. 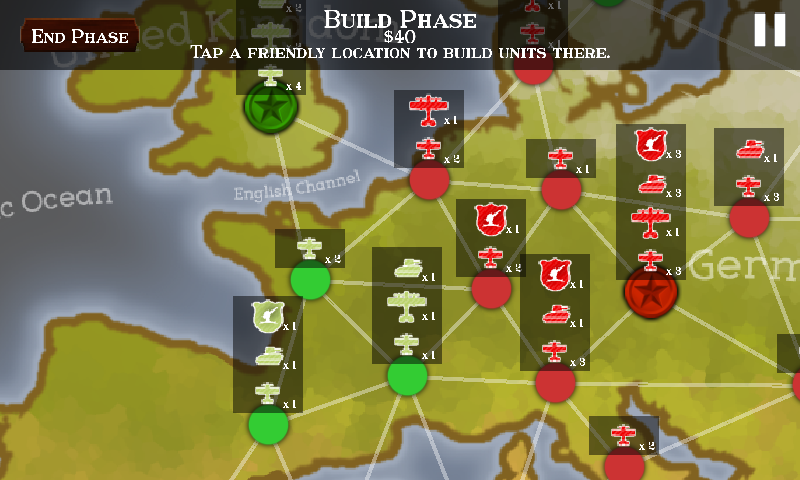 Campaign Mode is now implemented, it is a turn based strategy where you fight the battles with the units you build and command against the AI controlled Central Powers. New free and paid planes with special abilities and different stats. Ground vehicles now fight and tanks can be controlled by the player. If you wish to follow the update progress check out the forum thread for Pocket Squadron. We hope to release this update soon, happy flying pilots! 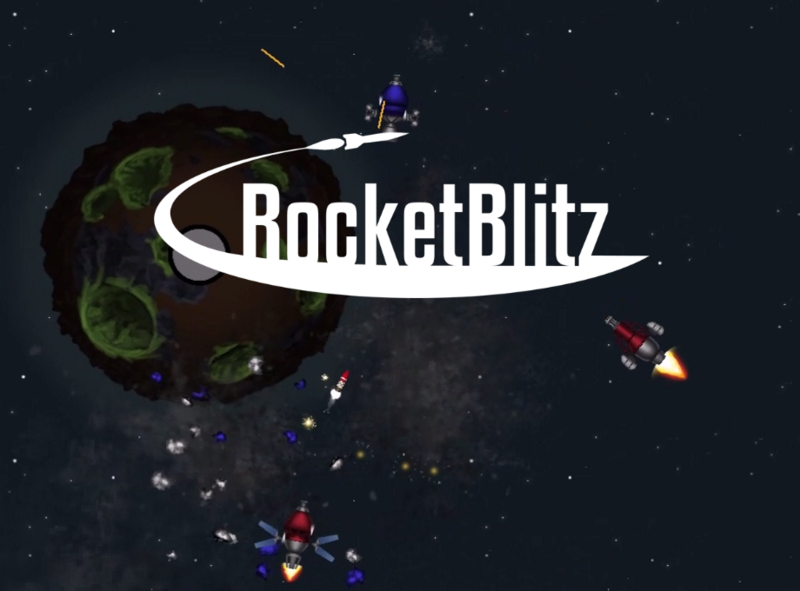 We finally decided to go ahead and release the Alpha version of RocketBlitz. While we have a ways to go with development, we are looking for any feedback we can get. This is more of a "soft" release however so we aren't putting too much into marketing, just releasing it in a few places. For instance the Google Chrome Store. This post is long overdue, I try to make one at least every month but that also means having time, which is always short. UI has been completely redone, though it still needs work it is much better than the previous design. Part stats now affect your ship, will need a bit of balance still but the basis is there. Chaingun weapon, very satisfying but it might be a bit overpowered and will need balancing. New game server system, game servers will no longer start automatically. We now have official servers to join, more on this below. Map editor, we finally have map variety and offical maps. The map editor is closed to the public for now but we plan to have it open where anyone can make a map and share it. Map system, server owners can specify what maps to be played on their server from a global list of official and user made maps. Bot system, server owners will be able to specify if they want their server to spawn bot players when players are low. Official servers will always have bots when player counts are low to ensure you can always play. Bug fixes and optimizations, these are pretty much in every update. Regarding the new server system, we made official servers to control the amount of players that can play at once. We did this for cost and performance reasons. However we plan to allow for players to rent their own servers in the future, with full control over maps and settings. Other than Rocketblitz we are also working on another project called Cargo Copter. This will be a 3D multiplayer PC game based on an Android prototype(also by the same name) we built a while back. We aren't sharing gameplay yet but expect updates here as we continue to work on it. We will be putting Rocketblitz on the backburner for now while we work on and eventually release Cargo Copter, we plan to use funds from that to continue it though. We felt we needed a break from the large and ambitious project that is Rocketblitz. I suppose that is the benefit of doing this as a hobby, you don't need to rely on it to pay the bills. An update for Storm the Beach has been released! 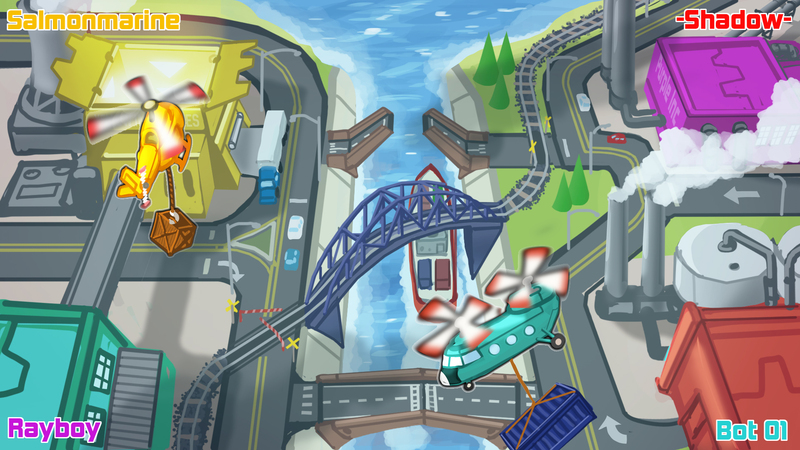 + Added 2 new enemies: Helicopter and Digger. * Implemented ability to remove ads and get an extra life. * Fixed screen rotation bug. First update for Storm the Beach in a long time!